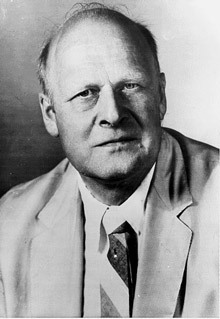 In 1926, chemist Lars Onsager showed that Peter Debye's equation describing the behavior of ions in electrolyte solutions had failed to take Brownian motion into account. This finding so impressed Debya that he hired the 23-year-old Onsager as a research assistant. Onsager came to America in 1928, where he briefly taught an introductory chemistry class at Johns Hopkins, but he found it difficult to explain basic science to neophyte students, and after one term his contract was not renewed. He then taught more advanced chemistry at Brown University for several years, but not well — his English was fine, but his lectures were universally described as incomprehensible. He was, however, an outstanding thinker and researcher, and while at Brown he conducted his landmark research into the thermodynamics of irreversible chemical processes. In 1931 he showed that variables such as pressure and temperature are reciprocal in irreversible chemical processes, and laid out new mathematical expressions to describe this behavior and a new theoretical description of these processes. His findings, sometimes called Onsager reciprocal relations, are known collectively as the Fourth Law of Thermodynamics. Remarkably, he did not even begin the pursuit of his doctorate until two years later, when he was laid off at Brown in the early days of the Great Depression. He eventually found an unpaid fellowship and later a part-time faculty post at Yale, where earned his PhD in 1935. He spent the rest of his life nominally teaching at Yale, but making few classroom appearances, which both he and his students no doubt appreciated. In the latter part of his career he studied the dipole theory of dielectrics and the statistical-mechanical theory of phase transitions in solids. He won the Nobel Prize for Chemistry in 1968.